Hannah studied BA English Literature at Queen Mary University. In 2009 she completed her Graduate Diploma in Law before completing the Legal Practice Course with Distinction in 2012. She joined Wilsons as a Public Law Paralegal. Hannah then went on to become a Caseworker in both the Public Law and Immigration departments and became a trainee solicitor in October 2014. Hannah qualified as a solicitor in the public law department in October 2016. Hannah has experience working on cases involving detained clients, young adults and those with disabilities. 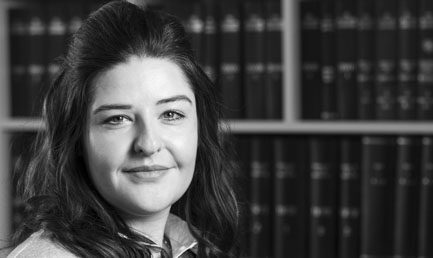 Hannah has assisted the public law department on a range of cases including complex public law and human rights cases with a particular focus on Judicial Review applications challenging detention and civil claims for false imprisonment. Before joining Wilsons Hannah worked at her local Citizen Advice Bureau advising on a range of matters including housing, welfare benefits and debt as well as policy research. During her studies she also volunteered at The University of Law pro bono programme providing free legal advice to members of the public. Hannah is member of Young Legal Aid Lawyers.